The universes of comic superheroes is a vast terrain. The heavy players such as DC Comics and Marvel Comics are even bringing their characters to the big screens. What are our chances on some Muslim characters coming to life? To be honest: very slim. But nobody can say there are none to choice from. Check out these amazing comic superheroes who also happen to be very MVSLIM! We all know beloved Pakistani superhero Ms. Marvel. Created by G. Willow wison, Sana Amanaat and Adrian Alphono, Kamala is the daughter of immigrant parents and balances her work as a hero with school and her life as a Muslim. It was Sheikh Abdullah, the head of the family mosque, who helped her become a superhero without knowing her powers. Her superhero costume is even made from a burkini her mother bought her. As such, she claimed the mantle of Ms. Marvel as her own. Simon Baz is the first Muslim member of the Green Lantern Corps. His Lebanese heritage was inspired by co-creator. Geoff John’s own Lebanese background. In the aftermath of 9/11, Baz is persecuted for his ethnicity. As a young adult, he chooses to become a Green Lantern after attempting to save lives by driving a stolen car into an abandoned car factory. Even though, Simon had a lot of troubles as a member of the Justice League, his sister Sira always offered a listening ear if he needed it. Yusuf Abdullah a.k.a. Buraaq – Split Moon Arts This comic character was created by brothers Adil and Kamil Imitaz to combat the negative stereotypes of Muslims. Yusef’s parents are killed in a hate crime. In order to grieve, Yusef goes into the desert where he is knowked out by a storm and meteor shower. When he awakes, Yusef has gained superpowers and is able to fly, has super strength and th eability to control the elements. 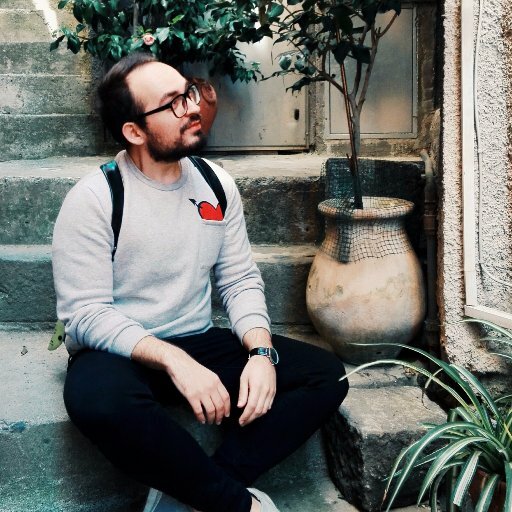 He rediscovers his identity and reconnects with God and his Muslim faith. As superhero Buraaq, he’s inspired to help others and fight those who oppose humanity, justice and tolerance. Soorayah Qadir is another mutant who becomes a member of the X-Men. Originally born in Afghanistan, she discovers she has the power to turn into a sand-like substance after attacking a slave trader who tried to remove her niqab (the facial part of the clothing known as the abaya). She is taken to the X-Corps base in India where she announces herself with the Arabic word “Turaab” or dust. The word stuck and, now, her teammates call her by the codename Dust. Soorayah chooses to wear traditional Islamic clothing out of modesty. Although this causes friction between the X-Men and their enemies, her faith has enabled her to survive tough battles. She is even depicted praying and answering questions concerning her faith from her teammates. Bilal Asselah a.k.a. The Nightrunner – DC Comics Bilal Asselah is a Algerian-French Muslim known as the “Batman of Paris”. During a French-Muslim protest, Bilal and Aarif were severly beaten by the police. Later, Aarif would encounter the police again and was killed after setting fire to the police station. Bilal realizes that both the protestors and the police are at fault. The Algerian-French student takes his training as a parkour athlete and the memory of his friend as a reason to become the masked vigilante to become “The Nightrunner”. After a chance meeting with Batman himself, Bilal learns that he can be a symbol without racial or religious bias. As such, Bilal takes his role as Parisian Batman! Silver Scorpion – Sharad Devarajan’s Liquid Comics Silver Scorpion is the result of a collaboration project between the publishing company Liquid Comics and the American and Syrian attendees of the 2010 Youth Ability Summit. Silver Scorpion becomes the alter-ego of a Muslim teenager named Bashir Bari. After losing his legs in an accident, and later witnessing the murder of a mysterious metalsmith, he is chosen to become the guardian of a power that lets him manipulate metal with his mind. Launched in Arabic and in English in 2011, “Silver Scorpion” also featuresother superheroes that are disabled or able-bodied, coming together to fight an evil force that threatens their world. The comic shows that disabled people can come together and be powerful aswell! 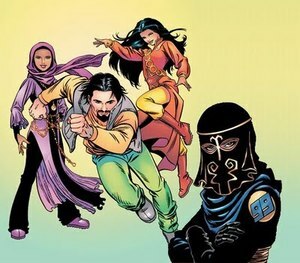 The 99 – Teskheel Comics The 99 are a team of Muslim superheroes created by Naif Al-Mutawa. Even though, the name implies 99 heroes, there are only a dozen teammembers. The number 99 represents the 99 names of Allah (swt) with the superheroes’ powers, coming from the 99 “Ahjar-Al-Noor” (i.e. Stones of Light) identifying with the names’ attributes. The team even got a crossover with the Justice League! President Barack Obama even called them “the most innovative response” to anti-Muslim sentiment in the U.S. . Unfortunately, The 99 was also controversial thanks to its depiction of superheroes as identities of the Muslim god and its burka-wearing characters. The comic series was quickly banned in Saudi Arabia, and a planned animated series for the U.S. never materialized. Qahera is a veiled Egyptian superhero in Cairo. She battles misogyny with a sword, fighitn abilities and quick and funny wit. Denna Mohamed, creator of the comic was inspired by her rea-life experienceces of sexual harassment and white savior ideologies that Egyptian women experience everyday. This article is written by Siham Machkour.